This is an exciting time to be a professional in the field of child maltreatment. Talented, responsible clinicians and researchers are doing more and more impressive work, and there is much yet to learn. Never before has there been such a large group of interested professionals advancing theories and approaches in order to help abused and traumatized children. 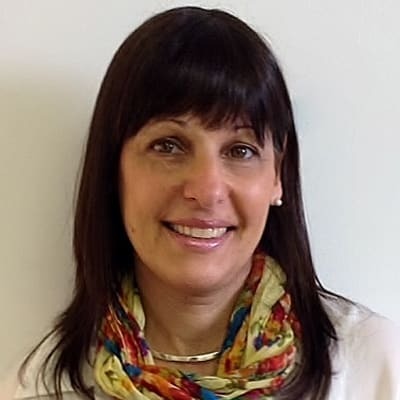 Myriam L. Goldin is a Virginia Licensed Clinical Social Worker (LCSW) and registered Play Therapist-Supervisor (RPT-S) with almost 20 years of clinical experience in the Northern Virginia area. Myriam works with children, adolescents, and adults. She provides evidence-informed treatment to bilingual and bi-cultural survivors of physical, emotional, or sexual abuse. She is a Certified Parent Educator in Circle of Security Parenting Groups, and a Certified Theraplay provider. Myriam received a Master's in Clinical Social Work from Virginia Commonwealth University, and a Bachelor’s in Psychology from George Mason University. She is committed to the belief that play has the power to advance a healing process, and that healthy relationships have the power to serve as corrective experiences for individuals who have endured traumatic experiences. Myriam has taught as an adjunct professor at the VCU Master’s School of Social Work. She has used strong voice and presence as an advocate in the local public school systems. Myriam has developed and facilitated trainings on the issue of trauma and its impact on learning, relentlessly promoting the power of healthy relationships as remedial experiences. She provides education and guidance at local and international levels on the subject of trauma-focused integrated play therapy treatments. Myriam is also a founding partner with Gil Institute for Trauma Recovery & Education (GITRE), a group private practice in Fairfax, Virginia (www.gilinstitute.com). GITRE specializes in the assessment and treatment of childhood trauma and provides an integrated treatment approach for children and families. Myriam has additional specialized training in several play-based assessment and treatment models for traumatized children and youth including the Extended Play-Based Developmental Assessment ; Trauma-Focused Cognitive-Behavioral Therapy; Boundary Project Assessment and Treatment Program; Trauma-Focused Integrative Play Therapy, Theraplay, Filial Therapy, and the Marshack Interactional Method. She integrates her training in the expressive therapies including art, sand, and play therapy, as well as her training in imagery education (Center for Healing and Imagery), into her daily therapeutic practice. "The child's work is to gain the courage to go back to the frightening thoughts and images of the trauma and explore them in a safer environment when there is a better sense of control. The child must then gain the skills necessary to cope with what may be seen as a frightening world in which to grow up as a healthier adult."